What Do My Car’s Wheel Bearings Do? What Are Your Car’s Wheel Bearings? Wheel bearings are essential to the proper functioning and performance of your car. They are the part which has to support all the weight of the vehicle and distribute it properly among all four wheels. By providing a smooth, even surface on which the wheels can turn, they also play a major part in giving drivers, passengers and cargo a smooth ride. As well as supporting the weight of vehicle and occupants, wheel bearings also have to absorb the heat and friction which are generated during typical driving conditions. Most wheel bearings consist of a set of steel ball bearings, which move around inside a metal frame called a race. This is a bit like a railway track in that it consists of two parallel rings, which should ideally be perfectly circular. The outer rims should be able to hold the bearings tightly, yet still allow the inner bearings to move around freely within this frame. They may have a hard job to do, but the advent of more complicated, computer-controlled braking systems for most vehicles has also made the mechanisms in which wheel bearings are mounted far more complex. Replacing wheel bearings used to be a straightforward task - the mechanic would remove the old part, re-fit a new one, then generously fill the area around it with grease. But now, a typical wheel hub assembly will also incorporate the ABS sensor, which keeps track of the vehicle’s speed. So a faulty ABS sensor may also mean that the whole wheel hub assembly has to be replaced. Also, most wheel bearing sets are now sealed, meaning that whenever they start to make a noise - the first and most common sign of a wheel bearing failure - the whole wheel hub has to be replaced, and not just the wheel bearing itself. How Will You Know When Your Car Needs Its Wheel Bearings Replaced? As with many types of car part failure, you might detect a tell-tale sound - the difficulty with wheel bearing failure is that it starts out very quiet, and only gets louder as the problem gets worse. It is best described as a type of whirring or droning, which at low speeds will sound as though it is coming from a distance. However, as a vehicle speeds up the noise will get louder. As speed picks up, you might also detect a slight vibration - but as this isn’t always the case, it can be difficult to detect until the problems become more serious. Why do wheel bearings start to make a noise? While the hardened steel from which most wheel bearings are made can withstand a lot of regular wear and tear, and even abuse, the parts’ two worst enemies are heat and water. Lubrication is vital in keeping the levels of heat under control, so if this is neglected, it can lead to terminal wheel bearing damage. Equally, if water penetrates inside a bearing which is supposedly sealed, or the bearing has been damaged through wear or impact caused by a bad road surface, this could mean replacement is needed. While the bearings are meant to be protected from water, debris and other contaminants by seals around the wheel rim, these seals themselves can get broken or damaged, and lead to the bearing making a noise which is the first sign that it is about to fail. Added to this is the difficulty in detecting which wheel is the source of the noise - and it’s a problem which can have even an experienced mechanic scratching their head. Finding the source of a problem with wheel bearings may involve putting the car up on a jack or lift, and manually rotating the wheels. The mechanic may then hear a different sound which will lead them to the source of the problem, or he/she might notice some play (i.e side-to-side movement) in the wheel as they turn it. How Do Garages Buy Wheel Bearings? These days, they are generally available in kits which provide a full set of bearings for a specific type of vehicle. But mechanics need to check that they get these details right, and ensure that they have the right kit for either the front or back wheels. While it’s common for many websites to suggest a compatible part when a car’s registration number is entered, sometimes more than one product is suggested. Experienced mechanics may know that some makes of car are particularly prone to this problem. Also, choosing the cheaper option from a wheel bearing kit or complete hub assembly might turn out to be a false economy, because the kit may require more labour to fit in than the complete option. So you should always ask for quotes on both jobs, so that you can decide which will be the better long-term option. Who Is Best Qualified To Replace Wheel Bearings? It may be possible for an experienced DIY car repairer to replacing the wheel bearings in their own car - but because they encounter the job regularly, you’ll avoid lots of potential pitfalls if you entrust the job to an experienced mechanic. Seized hub nuts can easily stop you in your tracks, and require specialist equipment which is only found in a properly-equipped workshop. Fortunately, wheel bearing failure doesn’t happen instantly, so once you think you might have a problem, you can start shopping around for wheel bearing replacement quotes. 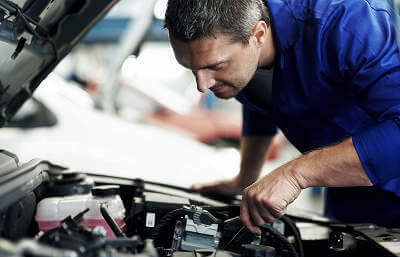 The advantage of posting a job such as this on MyCarNeedsA.com is that you should only get responses from those of our registered car repairers who have the skills and knowledge to do the job on your specific vehicle. You should also then be sure that they will only replace wheel bearings which actually need it. If you pick a suitable mechanic to carry out your wheel bearing replacement and start your discussions about your job with them through our site in good time, they should be able to find you an appointment which will suit both of you to do the job. Extreme cases have been known where a serious wheel bearing failure has led to a wheel locking up completely, while they sometimes also overheat and this may spread damage to your car’s brakes. Thankfully though, such instances are rare, so provided you act on any warning signs, you should be able to book an appointment for your wheel bearing replacement when it suits you. Now that you know the answer to the question ‘what is a wheel bearing?’, you should now be able to act quickly and nip potential problems in the bud - especially if you also take the wise step of registering as a MyCarNeedsA.com user. Once you have registered as a MyCarNeedsA.com user, you can get wheel bearing replacement cost quotes easily. You can then choose who carries out your repair job, and rating them after they have completed the work helps them get more work from our site.